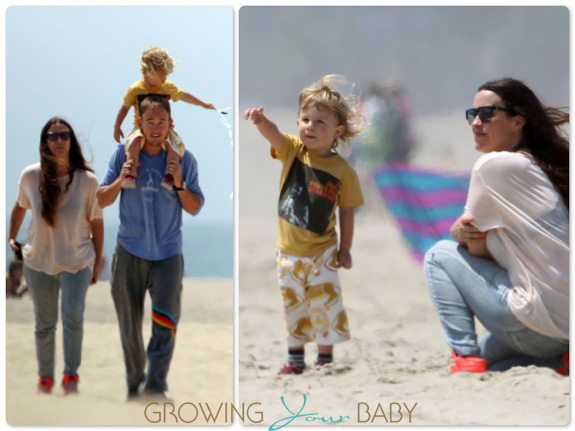 Over the weekend Alanis Morissette was spotted enjoying a beautiful sunny day at the beach in Santa Monica with her husband Mario Treadway and son Ever. The couple took turns chasing the toddler around in the sand before stopping to admire the view from the lifeguard tower. 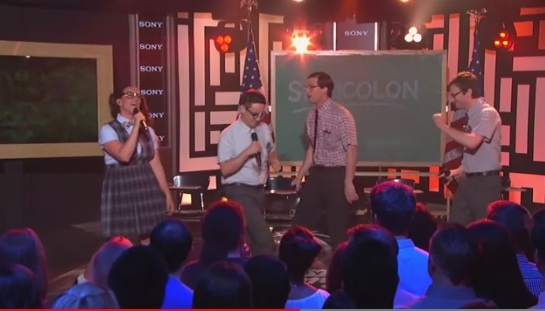 The outing comes just a couple days after the singer appeared on Jimmy Kimmel with Lonely Planet. Her laid back beach look was definitely a contrast from the geeky school girl part she play during her performance of the quirky band’s song Semicolon. She sang the part that was originally done by Solange Knowles and also snuck in the chorus of her hit song, Ironic. I love her and I’m happy to see her performing outside of her box. She is very private so it’s nice to get a glimpse of her funny side every once in a while.